Areas of the South Downs could take more houses to keep villages alive, according to Chichester District Council’s leader. The national park authority is putting together its local plan up to 2033 and has asked CDC to help meet its housing shortfall. Currently this would equate to 44 homes a year for the part of the national park within the Chichester district. He described how representatives from CDC and the national park would discuss the issue ‘calmly and rationally’ with a meeting scheduled for next week. The Chichester district’s part of the national park objectively assessed need is 125 dwellings a year but currently it has only allocated sites for 81 homes per annum leaving a shortfall of 44 units. John Connor, cabinet member for environment services, said: “It seems to me the national park is trying to preserve the status quo and pickle it in aspic. As part of the work on its local plan the national park has to agree a statement of common ground with CDC and other neighbouring councils. 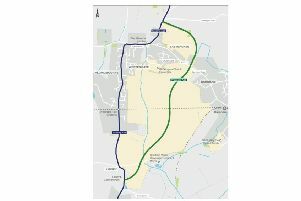 The authority wrote to CDC in February formally requesting the council to consider how it is able to meet some or all of the South Downs’ unmet housing need. This was discussed by cabinet members and then later by full council on Tuesday (February 6). Councillors expressed frustration that requests had not been made in the autumn 2017 when the national park was consulting on its draft local plan. Susan Taylor, cabinet member for planning services, explained how the council’s Development Plan & Infrastructure Panel had raised concerns that insufficient new homes in South Downs villages could make them ‘unsustainable as well as having an unbalanced demographic’. Officers suggested the number of homes proposed for Midhurst and Petworth for example were similar to those planned by CDC for settlements of a comparable size in its area of responsibility. They argued that because of its national designation the South Downs could ‘reasonably expect’ CDC to meet some or all of the unmet need. Independent Gordon McAra, who represents Midhurst, described how a number of new properties in the South Downs area were large properties bought by retirees. In view of the Government drive to increase housebuilding the national park’s target may be increased, Westbourne’s Mark Dunn suggested they be cautious as to what they commit to at this stage. Mrs Taylor replied that any decision by CDC would be evidence-based.